There is a consensus about the strategic importance of cities and urban areas for achieving a global transformation towards sustainability. While there is mounting interest in the types of qualities that increase the capacity of urban systems to attain deep transformations, empirical evidence about the extent to which existing institutional and material systems exhibit transformative capacity is lacking. This paper thereby seeks to determine the extent to which sustainability initiatives led by local governments and their partners reflect the various components that the literature claims can influence the emergence of transformative capacity as a systemic property of urban settings. The article is available for download. Using an evaluative framework consisting of ten components of transformative capacity and associated indicators, the specific objective is to identify patterns in these initiatives regarding the presence of individual components of transformative capacity and their interrelations with other components. The analysis of 400 sustainability initiatives reveals thin evidence of transformative capacity. When detected, evidence of transformative capacity tended to emerge in relation to wider processes of institutional- and social-learning and initiatives that linked outcomes to a city-wide vision of planning and development. However, instances of such initiatives were rare. This widespread lack of evidence for transformative capacity raises concerns that this set of attributes normalised in the literature is in fact rarely found in sustainability action on the ground. Castán Broto, V., Trencher, G., Iwaszuk, E. et al. 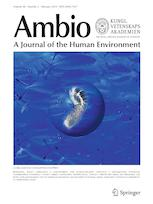 (2018), Transformative capacity and local action for urban sustainability, Ambio.